Submitted by Susan Miller on Wed, 10/01/2008 - 12:30. 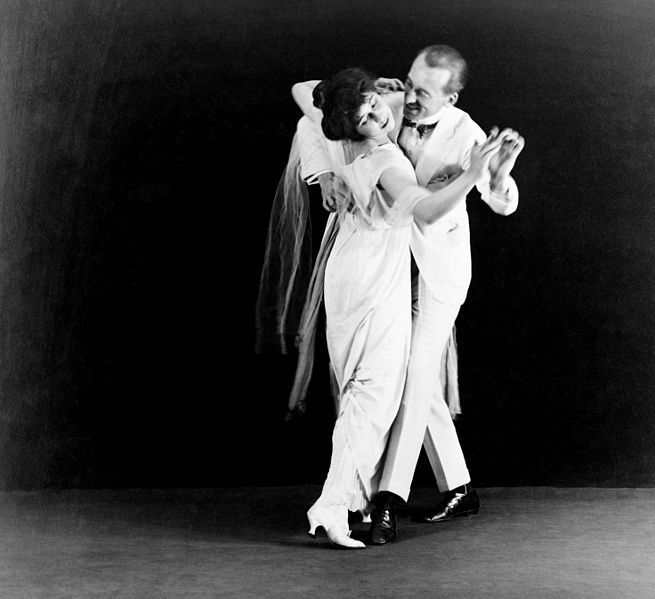 Vernon and Irene Castle popularized ballroom dancing in the early 20th Century - those were high times. "By 1931 the Depression had struck deep, and dance marathons took on a much darker cast. What had been light-hearted entertain­ment became a contest of survival. At least this is the modern perception of dance marathons, as expressed in the film They Shoot Horses, Don't They? ( 1966), an adaptation of the American existentialist novel of the same title, written by Horace McCoy in 1935. The Depression did more than change the nature of dance mara­thons; it also determined how they were understood and remembered. The Depression clearly showed that the prosperity of the 1920s had been limited to a small segment of the population. Those whose wealth survived the stock market crash of 1929 were not necessarily willing to help the unemployed. The country that held out the hope that every man and woman could live a prosperous life was faced with image after image that refuted that ideal." From the world of dance folks... these are economic indicators - it's called, "I'm whipped, maybe if I dance, it'll all be better." Is it time to dig out that tiara and polish it up? If The Election Were Held Today Would You Elect Pinkey Carr Or Lynn McLaughlin Murray For Cleveland Municipal Court Judge? CHICAGO & TORONTO HAVE PALPABLE VITALITY – WHY DOESN'T CLEVELAND?